If your refrigerator has just been installed, you need to check if the dispenser option is lighting on. So the water option should be on and the lock option for the dispenser should be on. 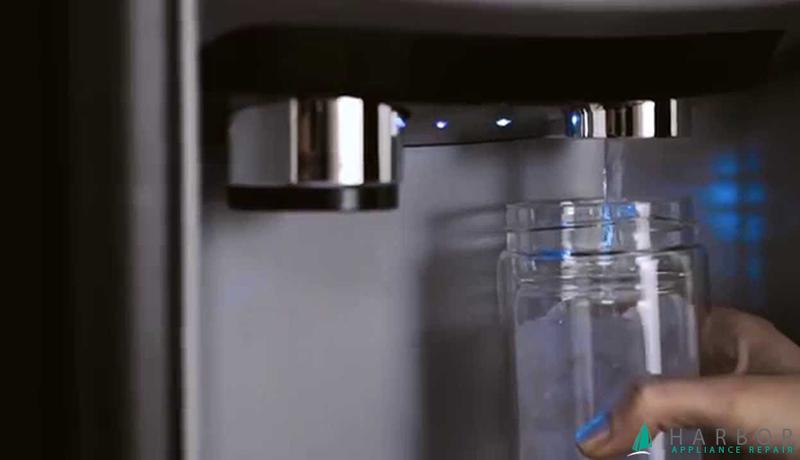 Now insert the glass under the water dispenser and press the puddle. If you hear pump is running, it means the motor is fine and there is a blockage issue some place in the system. Possible cause can be dirty filter which is preventing the water to flow through. It is usually located in the back of the refrigerator under a plastic cap. Move the objects away from the area, where the filter is, and remove the filter to examine. If it is contaminated, it needs to get replaced. If you were away from home during a cold weather, and you had turned off heating, it is possible that your fridge lines had been frozen. Before you call a technician, you can try melting the ice down from the fridge. Move the items out of the fridge, store in another fridge, or ask your neighboring friends to keep them for 24 hours. If you switch the refrigerator on and it still not dispensing water, it is time to call for a technician. 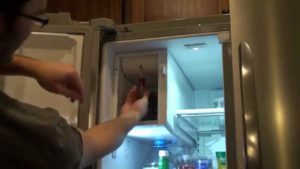 Refrigerator repair service in San Diego, CA.